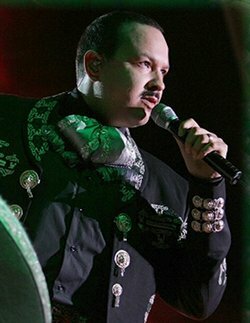 Jose Antonio Aguilar (born August 7, 1968), better known as Pepe Aguilar is a Mexican-American singer-songwriter and actor. He is the son of Mexican singer-actors Antonio Aguilar and Flor Silvestre. Aguilar has won four Grammy Awards and four Latin Grammy Awards.